Caroline Carter was born on 13 September 1823 at Warren Co., GA.1 She was the daughter of Wiley Carter and Ann Ansley.2 Caroline Carter died on 3 November 1854 at Schley Co., GA, at age 31.3 Moved to Sumter Co; desc include the Gatewoods of Americus. [S157] James Earl Carter Jr., Wiley Carter, Page 13. [S157] James Earl Carter Jr., Wiley Carter, page 10. [S157] James Earl Carter Jr., Wiley Carter, Page 14. [S157] James Earl Carter Jr., Wiley Carter, Page 106. [S157] James Earl Carter Jr., Wiley Carter, Page 58. [S157] James Earl Carter Jr., Wiley Carter, page 11. [S157] James Earl Carter Jr., Wiley Carter, Page 63. [S157] James Earl Carter Jr., Wiley Carter, Page 46. [S157] James Earl Carter Jr., Wiley Carter, Page 44. [S157] James Earl Carter Jr., Wiley Carter, page 12. [S157] James Earl Carter Jr., Wiley Carter, Page 24. Georgia Family Lines by Kenneth H. Thomas, Jr. The Carters moved permanently to Warren Co., c. 1815, where they lived along White's Creek on a 500 acre plantation, 4 mi. NW of Thomson, in what is now McDuffie Co. Around 1835 James moved to Talbot Co. to join his brother Jesse and lived in the SW part of the county near Upatoi Creek. It was here that he owned land at the time of his death in Schley Co. at the plantation of his son Wiley. James had been a cotton planter and a Baptist. James Carter was born in 1773. He was the son of Kindred Carter. James Carter married Eleanor Duckworth, daughter of Jeremiah Duckworth and Christianna Ramsey, in 1798 at Columbia Co., GA. James Carter died in 1858 at Schley Co., GA.
Eleanor Duckworth was the daughter of Jeremiah Duckworth and Christianna Ramsey. Eleanor Duckworth married James Carter, son of Kindred Carter, in 1798 at Columbia Co., GA.
Georgia Family Lines, Carter-Gordy by Kenneth H. Thomas, Jr., Historical Researcher, Georgia Department Of Natural Resources. Kindred Carter came to Georgia from the Bertie-Edgecombe-Hertford area of northeastern North Carolina where his family had lived for several generations. He was of the 5th gnereation in descent from Thomas Carter, Sr. who came in 1637 from England to Isle of Wight Co., Va. (on the James River) and married Eleanor. Their only known child was Thomas, Jr., who married Magdalen Moore and left a will n 1710 in Isle of Wight Co. In this will Thomas, Jr. did not name all of his children, but Moore Carter (c. 1680-c. 1741) who married Jane and moved to Bertie Co., N.C. is believed to have been his son. Moore left a will naming a son Isaac who married Ruth and died after 1790. Isaac and Ruth were the parents of Kindred and James, among others. Kindred and James both came to Georgia. James died in 1811 in Warren Co., leaving a will. Kindred is the subject of the following sketch. This informatin about the Carters in N.C. and Va. was provided by the Rev. S. E. Lucas, Jr. of Easley S.C. Kindred Carter settled in Richmond Co., on the frontier of the new state along Little Germany Creek. This lands became part of Columbia Co. in 1790 and is now in McDuffie Co., lying approx. 35 mi west of Augusta along the old Augusta-Wrightsboro Rd. On this 307 acre palntation Kindred grew wheat and cotton and raised livestock. At his death in 1800, his estate was divided 5 ways, although only four heirs are known. Noel Currer-Briggs, a noted British genealogist, published The Carters of Virginia: Their English Ancestry (chichester, england, Phillimore & Co., Ltd., 1979) in which he traced the Carters back to England fromthe early Thomas Carters of Virginia. He does allow: "So far as the ancestry of President Carter is concerned, everything depends upon the accuracy of his descent from Thomas Carter I of Isle of Wight Co. (virginia). The key to his puzzle is to be found in the correct identification of Moore Carter . . . until proof can be found in America, this descent, too, must remain speculative." Kindred Carter was born in 1750. He died in 1800. [S51] Kenneth H. Thomas Jr., "Carter-Gordy." A Welshman, joiner by trade; an early ands respectable settler at Windsor. George E. McCracken in TAG, vol 54 (April 1978) pages 65-71, titled William Buell & Early Descendants indicates that there is no documented proof that the immigrant William was the son of Sir Robert Bevill and Catherine Goode. According to the inventory of her estate the widow Mary Buell died on September 1, 1684, but the Windsor Vital Records and Colonial Deeds D:56 say she died on the day following. She left an unsigned will dated August 29, 1684, probated March 24, 1684/5 (Manwaring 1:280). Moved to Simsbury in 1670 where he became one of the pioneers and earliest settlers. Peter was awarded portion of Hog's Meadow in the first grants of 1667. He was part of committee of three of the town of Simsbury, granting privileges to Indians to hunt venison. He was a sergeant in the trained band of Simsbury and one of the representatives elected from the town to the General Assembly in 1687. McCracken asserts that Peter's third marriage was in 1698 not 1699 as entered in Simsbury records. On his third marriage Peter gained control of the estate of Jacob Bissell, Mary Gillett's first husband. When Mary's child by Jacob Bissell, Jacob died at age 16, Peter and Mary presumed that the heirs of the of the young Jacob were his half-siblings, the children of Peter and Mary. In 1710, however, the Buells were summoned into court to account for the estate on petition of sundry Bissell relatives, and the lower court found in favor of the half-siblings of the deceased young man, but on appeal the higher court reversed the decision in favor of the Bissell plaintiffs. [S23] Jesse Seaver, The Holcomb(e) Genealogy, Page 41. [S53] Noah A. Phelps, History of Simsbury, Granby & Canton from 1642 to 1845, Page 171. [S810] Edwin W. Strickland II, William Buell, 1-8, page 10. [S810] Edwin W. Strickland II, William Buell, 1-8, page 11. Children are listed in the Ellsworth Genealogy and the Mathew Grant Record. [S25] Hannah McPherson, Holcombe Genealogy, Page 10.2/Item A-1. [S25] Hannah McPherson, Holcombe Genealogy, Page 10.2. [S331] Edwin Stanley Welles, Hartford, Windsor, Fairfield, Page 42. [S52] Henry R. Stiles History of Ancient Windsor II, Vol. II:Pg. 210. Gilbert Holcombe was born in 1559. He was the son of Thomas Holcombe and Margaret Tretford. Gilbert Holcombe married Ann Courtney. Gilbert Holcombe died in 1624. His estate was probated on 18 August 1624. It has not been conclusively established that Gilbert was the parent of Thomas. In an effort to continue the research into Thomas' parents, researchers like Deanna Holcomb Bowman are going back further than Gilbert and Ann to see if Thomas of Simsbury is descended from a collateral line. This attempt to organize English records is based on a Lineage Chart in Vivian's The Visitations of the County of Devon, pg 474, 1887. This chart of the Holcombe's of Hull begins with John and Isabel Down Holcombe and continues for six generations to Gilbert, Christopher, and Josias Holcomb. The chart can be continued by references to the Lineage Chart compiled by Harry, born 1857, and Walter, born in 1850, Holcomb sons of Phillip George and Elizabeth Jones Holcombe. The later chart is found in England and one of the last lines on the chart has a 1913 birth and 1932 marriage, thus compiled after Seaver and before McPherson. The Harry and Walter chart uses the exact format of the Vivian chart so it is essentially just an extension of Vivian. Using secondary sources of English births, marriages and wills and some primary records allows the extension of both references. Since the records include parishes, researchers can prove or disprove them once they are organized. Weir states on page 8 "A very complete pedigree of the Holcombes of Devonshire, England starting from John Holcombe, Knight of the XI century is said to exist. Maybe she is referring to the Walter and Harry Holcomb Chart found in the church at Dorchester-on-The-Thames, England. Vivian's chart ends with the listing of the three brothers, Gilbert, Christopher, and Josias. Gilbert's marriage to Ann, daughter of Peter of Landrake, cl. Cornwall is given and the fact that this 1623 will, was proven in August of 1624 leaving his brother-in-law Richard Bonithon as his legatte. The administration was granted in February 1655/56 to John Bonython, the nephew and next of kin, because Richard Bonython, the executor, was then deceased. The chart does note that Christopher is said to be the ancestor of the Holcombes of Pembrokeshire in Wales. Gilbert and Ann had no children on the chart. Bowman and McCracken both agree that there were no children. [S65] Deanna Holcomb Bowman Thomas Holcomb, Vol. I:Pgs. 1-5; Vol. II:Pg. 167/Item 112111. Ann Courtney was born in 1570. She married Gilbert Holcombe, son of Thomas Holcombe and Margaret Tretford. Elizabeth (?) was also known as Elizabeth Ferguson. She was born in 1617 at Devon, England. She married Thomas Holcombe, son of Gilbert Holcombe and Ann Courtney, on 14 May 1634.1 Elizabeth (?) married James Eno on 5 August 1658 at Windsor, Hartford Co., CT. Elizabeth (?) died on 7 October 1679 at Windsor, Hartford Co., CT.
[S65] Deanna Holcomb Bowman Thomas Holcomb, Vol. I:Pg. 7. [S25] Hannah McPherson, Holcombe Genealogy, Page 18/Item A-2. [S25] Hannah McPherson, Holcombe Genealogy, Page 18.1. Abigail Holcombe was baptized on 6 January 1638 at Windsor, Hartford Co., CT.3,4 She was the daughter of Thomas Holcombe and Elizabeth (?) Abigail Holcombe married Samuel Bissell, son of Capt. John Bissell and Mary Drake, on 11 June 1658 at Windsor, Hartford Co., CT.5,4 Abigail Holcombe died on 17 August 1688 at age 50. Poquonock is the Indian name for Windsor. [S65] Deanna Holcomb Bowman Thomas Holcomb, Vol. I:Pg. 8/Item 3. [S25] Hannah McPherson, Holcombe Genealogy, Page 25.1/Item A-3. [S25] Hannah McPherson, Holcombe Genealogy, Page 25.1. How this couple became acquainted does not appear, but there was an early migration of some Windsor families to Fairfield and it may be that afterwards there was some visiting back and forth. Joshua took the family and personal property of his deceased father, Thomas, after the latter's death in 1657 and moved to Windsor Center (Simsbury). He was granted 4 acres "near Thomas Maskill" at Massaco, Hartford Co., Ct. April 29, 1667. He was granted original tracts of land in Conn. (Simsbury Patent) by King Charles II, April 23, 1687. Was elected Representative to General Assembly, from Simsbury, 1660, 1671, and 1690 (wr, wg). For his probate see Manwaring 1:467, which shows inventory of £474/8/0 taken Dec. 25, 1690, by John Higley and Samuel Wilcox (Selectmen) and his two brothers, Benajah and Nathaniel. The Puritans evidently did not celebrate Christmas. Records of his probate list his children. However, one reference does not list Joshua who was surely living (possibly an error by Manwaring). Seaver lists another child, Joab, not mentioned by McCracken. [S23] Jesse Seaver, The Holcomb(e) Genealogy, page 11, item 101. [S65] Deanna Holcomb Bowman Thomas Holcomb, Vol. II:Pg. 8-9. [S25] Hannah McPherson, Holcombe Genealogy, Page 30/Item A-4. [S335] Charles William Manwaring, Manwaring, 1:467. [S25] Hannah McPherson, Holcombe Genealogy, Page 30.1. [S460] Gerald James Parsons, "Joseph Parsons." [S151] Gerald James Parsons, "unknown short article title." McCracken: death date . . . "misappropriated for his mythical brother Thomas as on the newly-cut Holcombe tombstone in Granby Cemetery. His unusual first name occurs some 16 times in the Old Testament but was not sufficiently familiar to the compilers of the Phelps Genealogy who, at least several times, if not always, call him Benjamin. Benajah appears not to have moved to Simsbury with his two brothers, and I have had more difficulty in tracing his descendants than those of his brothers. The reader is cautioned to verify every statement, particularly what Mrs. McPherson has to say of him. He married at Windsor, April 11, 1667, his stepsister, Sarah Enno or Eno, born at Windsor, 16 June 1649, daughter of James Enno or Eno by his second wife Anna Bidwell, who was perhaps the daughter, more probably the widow of Richard Bidwell, This Anna was the mother of all the Eno children. Dr. Stiles, under "Holcombe," kills off this Sarah in April 1732, which is about five years earlier than the death of Benajah but under "Phelps" (2:565) he makes her marry, secondly, Samuel Phelps (William, William), born at Windsor, 5 Sept 1642, died at Simsbury, 21 Oct 1741. The first wife of the said Samuel Phelps was Abigail Williams, born Windsor, 31 May 1658, daughter of a John Williams who married at Windsor, 29 June 1644, Mary Burlly. Mary (Burlly) Williams died 18 April 1681, having been married, as the record says, 37 years and sometime later this John Williams married again, this time to that Ester or Hester ----, who had married, first, James Eggleston (Bigod), and second as 4th wife, James Enno or Eno aforesaid. John Williams died in 1712 aged 96 and Esther/Hester died in 1720. See also The American Genealogist 56:169. Under "Phelps" Stiles inserts a marriage of the aforesaid Samuel Phelps to an Elizabeth with some children born in Boston. This marriage is unknown to the Phelps Genealogy and I have made no attempt to solve the problem beyond making certain that there were Boston births to a Samuel and Elizabeth Phelps whoever they were. Mathew Grant records the birth of two children in Windsor 17 Aug 1877. This family stayed in Windsor when the others went to Simsbury. [S65] Deanna Holcomb Bowman Thomas Holcomb, Vol. I:Pg 9. Deborah Holcombe was born on 15 February 1649/50 at Windsor, Hartford Co., CT.1,2 She was the daughter of Thomas Holcombe and Elizabeth (?) Deborah Holcombe married Daniel Birge, son of Richard Birge and Elizabeth Gaylord, on 5 November 1668 at Windsor, Hartford Co., CT.3,4 Deborah Holcombe died on 26 May 1686 at Windsor, Hartford Co., CT, at age 36.3 Information on Richard Birge and his descendants is primarily from Ernest Crichton Birge, 1860 Big Crane Loop, Port Orange, FL 32124-2525; (904) 760-4229; ebirge@aol.com. [S331] Edwin Stanley Welles, Hartford, Windsor, Fairfield, Page 43. Josias' name first appears on the Windsor Town Records in connection with his marriage; and, the same year he bought a house and lot south of the Rivulet (and near the Old Mill) on what was afterwards known as the Gillet place, opposite the residence of the late Hon. N. H. Barber. He was a juror in 1664; made freeman 21 May, 1657. In 1655 he bought, from Joanna Davison, the property now known as the Chief Justice Ellsworth place, or Elmwood. This place was deeded in 1903 by the heirs of Chief Justice Oliver Ellsworth to the Connecticut Daughters of the American Revolution. I Sergt. Josiah Elsworth of windsor doe make this my last Will & Testament: I gevie to my wife, after my decease, the whole Use & Profits of my estate during Widowhood, and one year more if she should mary, and afterward L50 in current Country pay out of the Moveable Estate that may best suit her, only with this proviso, that if God should in his providence, in the Juncture of time, dispose of my daughter Martha in marriage, then out of the Moveable Estate to pay her a portion according to what her elde sisters already have received. Item. I give to my eldest son Josiah my now dwelling house, Barn, Orchards, Outland, & Meadow on the East side of the Common Street down to the River, he resigning to me what Land he doth improve on the East side of the Great River when he shall come to enjoy this abovsd., he also paying to his 3 sisters L30 in Countyr pay, to each an equal proportion, sometime within two years after posession. I give to my two sons Thomas and Jonathan the whole of my Lott on the West side of the Common Street over against my Dwelling house, and all my Lott adjoining to Pine Meadow, by them to be equally divided; also 1 Farme on my Lott over the Great River upon Scantick Brook, on either side my Lott which they shall choose, three score Rod in Breadth and 8 score Rod in length. I give to my 3 youngest sons John, Jobe, and Benjamin, all the rest of my Lands not yet disposed of over the Great river, each of them paying to their 3 sisters, Elizabeth, Mary, and Martha, L10 apeice in Country pay within two years after they come to a free Enjoyment of the Lands. All the rest of my Moveable Estate, after my wife's marriage or decese, I give and bequeath to my six sons & 3 daughters, to be equally divided amongst them. I desire my son Josiah and my son Nathaniel Loomis to assist my beloved wife in the Adms. and Distribution of my Estate. Witness: Timothy Thrall, John Gaylord. [S335] Charles William Manwaring, Manwaring, 1:443. George Griswold was born at Kenilworth, England. He was baptized on 19 May 1633 at Kenilworth, England. He was the son of Edward Griswold and Margaret (?) George Griswold married Mary Holcombe, daughter of Thomas Holcombe and Elizabeth (? ), on 3 October 1655 at Windsor, Hartford Co., CT.3,4,5 George Griswold died on 3 September 1704 at Poquonock, Hartford Co., CT, at age 71. In 1649 George moved his home to Poquonic where he had purchased land from the Indians. Being six miles from Windsor, there was no protection from danger. From the records, we find this family was never molested. Probably because he dealt honestly and fairly with the Indians, they respected him. George was made a freeman in 1669, was a large landowner and a man greatly respected. He was a sturdy active citizen but did not aspire to political office. Records show that in 1676 he contributed to the poor of other colonies; in 1679 he had a warehouse on the north side of the Rivulet near the ferry; and in 1685 he was mentioned in Windsor patent. He engaged in trade with England and the West Indies. His estate is given in Hartford Probate VII:108; IX:10,11; Manwaring II:70. Inventory was taken October 2, 1704. An agreement made by the widow and children for the settlement of the estate is recorded. This agreement also mentions his granddaughter Abigail Griswold and daughters Mary Cooley and Deborah Moore. [S116] Esther Griswold French and Robert Lewis French, Griswold, Page 17/Item 4. Fanny McDonald was born circa 1820 at Ireland. She married Patrick McCafferty, son of James Green McCafferty, on 17 October 1844 at Mobile, Mobile Co., AL. Fanny McDonald died at Mobile Co., AL. [S33] 1860 Federal Census, unknown repository address, Census shows Fanny as 40 years old. Ann McDonnell was born circa 1832. She married John McDonald. Daniel Griswold was born on 1 October 1656 at Windsor, Hartford Co., CT.5 He was the son of George Griswold and Mary Holcombe. Daniel Griswold married Mindwell Bissell, daughter of Nathaniel Bissell and Mindwell Moore, on 3 February 1680/81 at Windsor, Hartford Co., CT.5 Daniel Griswold died in 1728. [S65] Deanna Holcomb Bowman Thomas Holcomb, Vol. II:Pg. 15. [S25] Hannah McPherson, Holcombe Genealogy, Page 18/Item A-2-1. [S116] Esther Griswold French and Robert Lewis French, Griswold, Page 31/Item 22. [S116] Esther Griswold French and Robert Lewis French, Griswold, page 31. Thomas Holcombe was born at Hole, Devon Co., England. He was the son of Ellis Holcombe and Elizabeth Suydenham. Thomas Holcombe married Margaret Tretford in 1559. [S65] Deanna Holcomb Bowman Thomas Holcomb, Vol. II:Pg. 164/Item 11211. Other spelling: Tretirfe. Margaret Tretford was born in 1537. She married Thomas Holcombe, son of Ellis Holcombe and Elizabeth Suydenham, in 1559. 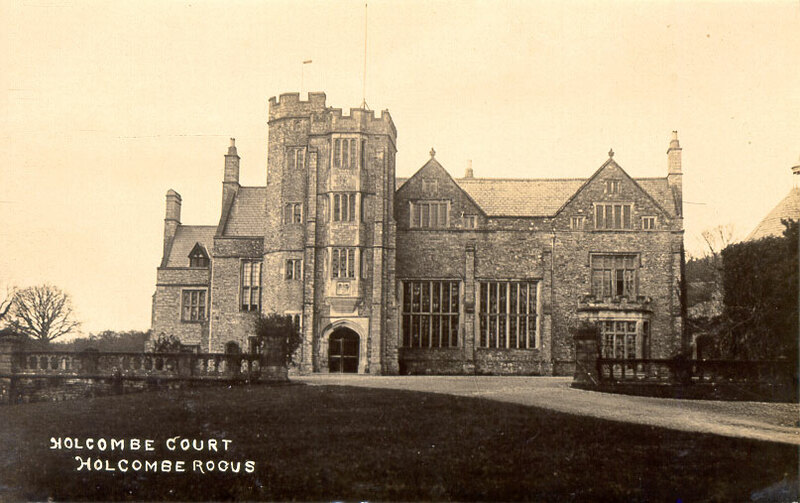 Ellis Holcombe was born in 1514 at Ashton, Devon, England. He was the son of Charles Holcombe. Ellis Holcombe married Elizabeth Suydenham, daughter of Thomas Sydnam. Ellis Holcombe died in 1585. Ellis was listed as of Hull in Vivian. He was aged 12 years or more at the death of his father (Vivian) in 1527/28. Thomas Holcomb of Simsbury, Connecticut could descend from any of Ellis' six sons. The will raises many questions unless ther term, "blood cousin" was a 1500's term for grandson. The will mentions wife Elizabeth, Judith and Ursula daughters of John, evidently quite young because he provides on the condition that "they shall be obedient and be ruled by my wife Elizabeth." With the consent of his wife, he bequeathed to Christopher and Josias two of the sons of Thomas gentleman decd. He also willed to Ellis Wyppell one heifer, to the poor of Branscombe, and to "my next cousin and heir in blood Gilbert son to Thomas gentleman and his heirs forever, all my lands, manors in Somerset and Devon, subject to my wife's jointure and the abote annuities." Why would he will to cousins if he had children? Deanna Holcomb Bowman believes that cousin in blood is a reference for grandson, since she has never read the word grandson in early wills. Generally the wills state to "John, son of my son Henry" or some like statement. Bowman states that the Lineage chart carries the descendants of Thomas and Margaret only, Robert, Tristram, John, George, and Walter are not followed. The lines of Ellis' other married sons need to be completed to continue the search for the parents of Thomas of simsbury, Connecticut. Tristran should be easy to find with his unusual name and a wife named Georgania. Ellis had the following children, and probably no more because Vivian lists and numbers his six sons, in Ashton, Devon, England. Elizabeth was "daughter of Thomas Sydnam of Wynsford Eagle in County Dorset" (Westcote) (Vivian). Elizabeth Suydenham was born in 1515 at Dorset, England. She was the daughter of Thomas Sydnam. Elizabeth Suydenham married Ellis Holcombe, son of Charles Holcombe. Charles and Jane had children Ellis, Elizabeth and Katherine in Ashton, Devon, England. Charles outlived his mother and thus inherited instead of his older brother William. His inquisition was in 1529. He had children listed in Westcote/531 and in Vivian. Charles Holcombe was born in 1472 at Hull, Yorkshire, England. He was the son of Roger Holcombe and Margaret Avenell. Charles Holcombe married Jane (?) Charles Holcombe died in 1528. Jane (?) was born in 1480. She married Charles Holcombe, son of Roger Holcombe and Margaret Avenell. The French Genealogy, pages 18 and 32, confuses the birth date. Coralee Griswold of the Griswold Family Association confirms the birth date of 29 Sept 1658 via e-mail. Thomas Griswold was born on 29 September 1658 at Windsor, Hartford Co., CT.4 He was the son of George Griswold and Mary Holcombe. Thomas Griswold married Hester Drake, daughter of Job Drake and Mary Wolcott, on 11 August 1681 at Windsor, Hartford Co., CT. Thomas Griswold died in 1689. Samuel Griswold b. 1684, d. D.Y. [S52] Henry R. Stiles History of Ancient Windsor II, Vol. II:Pg 352. [S116] Esther Griswold French and Robert Lewis French, Griswold, Page 32/Item 23. [S25] Hannah McPherson, Holcombe Genealogy, Page 19/Item A-2-2. [S116] Esther Griswold French and Robert Lewis French, Griswold, page 32. Hester is called Esther in Windsor records. Hester Drake was born on 10 October 1662. She was the daughter of Job Drake and Mary Wolcott.1 Hester Drake married Thomas Griswold, son of George Griswold and Mary Holcombe, on 11 August 1681 at Windsor, Hartford Co., CT. Hester Drake died on 9 February 1691 or 1692. [S578] Frank B. Gay, John Drake, Page 8. Mindwell Bissell was born on 23 October 1663 at Windsor, Hartford Co., CT. She was the daughter of Nathaniel Bissell and Mindwell Moore. Mindwell Bissell married Daniel Griswold, son of George Griswold and Mary Holcombe, on 3 February 1680/81 at Windsor, Hartford Co., CT.2 Mindwell Bissell died on 31 December 1728 at Windsor, Hartford Co., CT, at age 65. [S121] Judge Pelham St. George Bissell, Descendants of John Bissell, Page 13/Item 3-36. Edward Griswold was born on 19 March 1661/62 at Windsor, Hartford Co., CT. He was the son of George Griswold and Mary Holcombe. Edward Griswold married Abigal Williams, daughter of John Williams and Mary Burley, on 3 November 1681 at Windsor, Hartford Co., CT. Edward Griswold died on 31 May 1688 at Westfield, CT, at age 26. Edward was admitted to the church in Westfield, MA, May 26, 1685. [S116] Esther Griswold French and Robert Lewis French, Griswold, Page 33/Item 24. [S25] Hannah McPherson, Holcombe Genealogy, Page 20.2/Item A-2-3. Abigal Williams was born on 31 May 1658. She was the daughter of John Williams and Mary Burley. Abigal Williams married Edward Griswold, son of George Griswold and Mary Holcombe, on 3 November 1681 at Windsor, Hartford Co., CT. Abigal Williams died on 16 September 1690 at age 32. [S52] Henry R. Stiles History of Ancient Windsor II, Vol. II:Pg. 791. Mary Griswold was born on 28 September 1663 at Windsor, Hartford Co., CT. She was the daughter of George Griswold and Mary Holcombe. Mary Griswold married Joseph Cooley, son of Benjamin Cooley and Sarah Tremaine, on 22 January 1684/85 at Saybrook, Middlesex Co., CT. Mary Griswold died on 13 July 1739 at age 75. They resided in Springfield, Ma., where Joseph served as selectman in 1705 and 1721. About 1730 they moved to Somers, Ct., where he was known as an important man, interested in the growth of the community and in military affairs, being appointed lieutenant. Mary's death date is probably wrong, Joseph died in 1740 and she is mentioned as a widow. [S116] Esther Griswold French and Robert Lewis French, Griswold, Page 33/Item 25. [S25] Hannah McPherson, Holcombe Genealogy, Page 20.2/Item A-2-4. Joseph Cooley was born on 6 March 1661/62 at Springfield, Hampden Co., MA. He was the son of Benjamin Cooley and Sarah Tremaine. Joseph Cooley married Mary Griswold, daughter of George Griswold and Mary Holcombe, on 22 January 1684/85 at Saybrook, Middlesex Co., CT. Joseph Cooley died on 20 May 1740 at age 78. Children are listed in Spear and National Genealogical Society Quarterly, Dec. 1938. Bowman thinks Sarah , Eunice and James may belong to Joseph II. Joseph was known as Lieutenant Joseph. He was the only one of Benjamin Cooley's sons to leave Springfield and Longmeadow, Mass; removed about 1730/1, with his son Joseph II, to Somers. Joseph took the Oath of Allegiance in Springfield Dec. 31, 1678, and was a freeman in 1690. He served as a selectman in Springfield in 1705, 1711, 1714 and 1721. [S65] Deanna Holcomb Bowman Thomas Holcomb, Vol. I:Pg. 15-16. [S153] In collaboration with Lyman Edgar Cooley and Ernest Linwood Cooley, compiled by Vivien Bulloch Keatley Mortimer Elwyn Cooley, Cooley Genealogy, Page 811/Item 5. George Griswold was born on 3 December 1665 at Windsor, Hartford Co., CT. He was the son of George Griswold and Mary Holcombe. George Griswold died in 1746; unmarried. [S116] Esther Griswold French and Robert Lewis French, Griswold, Page 19/Item 26. Sergt. 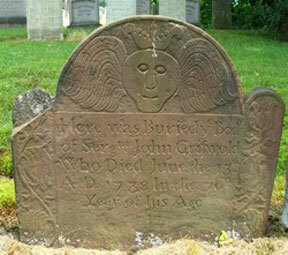 John Griswold was born on 17 September 1668 at Windsor, Hartford Co., CT. He was the son of George Griswold and Mary Holcombe. Sergt. John Griswold married Abigail Gaylord, daughter of Nathaniel Gaylord and Abigail Bissell, on 22 November 1705 at Windsor, Hartford Co., CT. Sergt. John Griswold was buried at Elm Grove Cemetery, Windsor, Hartford Co., CT. He died on 13 June 1738 at age 69. [S116] Esther Griswold French and Robert Lewis French, Griswold, Page 34/Item 27. [S25] Hannah McPherson, Holcombe Genealogy, Page 23.2/Item A-2-6. Abigail Gaylord was born on 13 March 1683 or 1684. She was the daughter of Nathaniel Gaylord and Abigail Bissell. Abigail Gaylord married Sergt. John Griswold, son of George Griswold and Mary Holcombe, on 22 November 1705 at Windsor, Hartford Co., CT. Abigail Gaylord died in 1738. Mr. Edward Griswold came to America at the time of the second visit of Mr. George Fenwick, at which date, also, came a large number of new settlers to the Conn. settlement. It was at a time when many of the gentry of England and wealthy persons connected with the Warwick Patent were intending removal hither; but the breaking out of the Scotch Rebellion compelled King Charles to call a Parliament, and they stayed at home to carry on their struggle with the King and Archbishop Laud. Mr. Griswold undoubtedly came in the interest of some of these patentees. He was attorney for Mr. St. Nicholas of Warwickshire, who had a house built in Windsor, and also a tract of land "impaled" (fenced), as had Sir Richard Saltonstall. The Rev. Ephraim Hit, who came, also in 1639, was from the same parish, as, also, the Wyllys family, who settled at Hartford. His first location in Windsor is not known; but he had a grant of land in Poquonock, to which re removed, in 1649, accompanied by a few families, who there found an "outpost" settlement. His residence at Poquonock was on the site of the present dwelling of the heirs of the late Eliphalet S. Ladd, and who, on the female side, are Griswold descendants. The spot is a beautiful knoll which overlooks the brook on the west, and the Tunxis River on the south and east. As soon as he had fairly established his home, he began to take that active part i public matters which was natural to a man of his character. In 1650 he built the "Old Fort" at Springfield for Mr. Pyncheon; in 1656 he was a deputy from Windsor to the General Court, and continued, with the exception of one session, to represent the town until the reception of the charter from King Charles. At this time he was the principal promoter of a new settlement authorized by the court, called Hommonoscett, which lay immediately west of Saybrook, and to which, about 1663, he removed with his younger children, deeding to his sons, George and Joseph, who remained behind, his Windsor lands, reserving a small life annuity therefrom. The settlement was organized as a town in 1667 and received,probably from him, the name of his old English home Kenilworth, afterwards corrupted to Killingworth, and now known as clinton. He was the first deputy from Kenilworth and continued to be its magistrate and representative for more than 20 years, 1662 to 1678-89, and 2was succeeded by his son John. The Colonial Records show him to have been a very active, influential member of the legislature -- pre-eminently one of those men who, in the first half-century, did so much to make the small colony of Connecticut so important a factor in American affairs. As a member of Sessions, he had the pleasure of meeting with his brother Matthew and his own son Francis; and there has, since that time, rarely been an Assembly of Conn., in which some of their lineal descendants have not been members. He was frequently a commissioner; and in 1678, was on a committee for establishing a Latin school in New London, and was first deacon of the Kenilworth church. [S52] Henry R. Stiles History of Ancient Windsor II, Vol. II:Pg. 350. [S116] Esther Griswold French and Robert Lewis French, Griswold, Page 11. [S116] Esther Griswold French and Robert Lewis French, Griswold, Page 13. Margaret Diamond died on 23 August 1670.